With the NBA letting down the general public when it comes to reality shows, SI.com seeks to add a few entertaining suggestions to the fray. For a league with so many characters, the NBA has let us down when it comes to reality television shows. The two latest forays into the genre from the NBA world—the web series Exploring Kaman and TBS’s Meet the Smiths—leave a lot to be desired. Remember when the Deal or No Deal craze swept the nation? Let’s bring back our old friends Howie Mandel, the models and the banker. 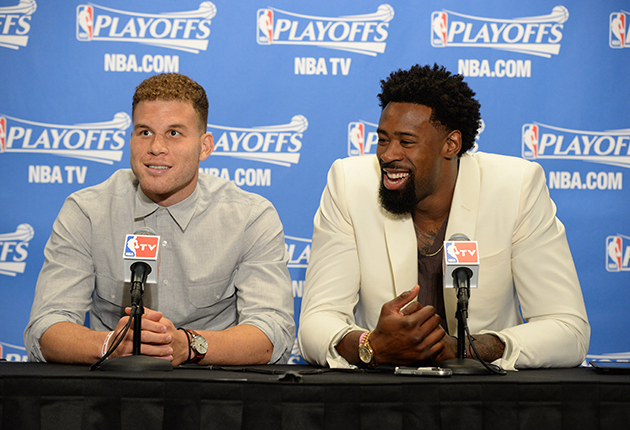 But this time, we only need one contestant—Clippers center DeAndre Jordan. Will Jordan even make it past the briefcase selection portion of the show? How will he react to his first offer from the banker? With Mark Cuban and Doc Rivers forced to watch from the family waiting area, Jordan will bring back the high stakes and life-changing decision-making that made us fall in love with Deal or No Deal the first time. — R.N. Based on the hit show Wife Swap, Team Swap will see engaged couple Phil Jackson and Jeanie Buss, presidents of the Knicks and Lakers, respectively, switch teams for a week. Jackson will return to L.A. to oversee the franchise he helped win five championships, while Buss will get a taste of what it’s like to work for Jim Dolan in New York. Jackson will be tasked with reviving Kobe Bryant’s dwindling career. Buss will have to find the marketability in Dolan’s country band. The hope is after a period of time in each other’s shoes, they come to appreciate their own unique, dysfunctional situations. — R.N. Think Diners, Drive-Ins and Dives, but replace the aging bleach-blonde TV legend with the NBA’s most fun, doe-eyed young player who has probably never eaten chicken gizzards. Antetokounmpo, who used to bring all the food he could find home from the Bucks’ arena, will travel every corner of America, trying out the strangest delicacies this country has to offer and probably loving all of them. Remember how much Giannis loved a simple smoothie? How many of his brothers will show up to help? It’s a recipe for excitement. — J.W. Throw the Kings, the NBA’s strangest team on an island and see who’s left standing – it’s a simple, enthralling concept on its own. But this contest comes with a twist: no matter what, DeMarcus Cousins can’t be voted off the island until the final round, and nobody else knows about it. Who will wind up battling Boogie for all the marbles? Connect Four savant Rajon Rondo is the early favorite. Can Willie Cauley-Stein manage to out-dress everyone? Will Seth Curry and David Stockton’s NBA bloodlines prove useful? How many members of the 2002-03 Kings will show up unannounced? And don’t forget, Reggie Evans is still on the bench. Not even Vlade or George Karl is safe here. And of course, if Cousins gets sick, the show could automatically be scrapped at any point. — J.W. The Bachelor is a hit TV show, but the format is a little fatigued. In 2015, more is better. 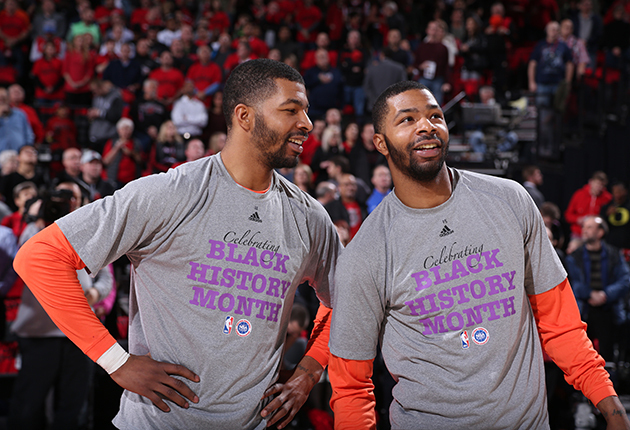 Having the Morris twins—Marcus and Markieff—appear as one bachelor is the perfect dynamic to spice things up. The two brothers, playing in separate cities for the first time, will be reunited to choose the girl of their dreams. One lucky lady will leave with not one, but two bachelors looking to find love. The show will put the Morris twins’ closeness to the test, and will undoubtedly lead to many Parent Trap-style hijinks. — R.N. Extreme Home Teardown is a show that will highlight Philadelphia 76ers GM Sam Hinkie’s ability to tear things down and not build them back up. Every week, Hinkie will travel across the country, removing vital pieces from people’s homes—front doors, foundational walls, etc.—and refuse to replace them. What’s left is what kind of looks like a home, but can’t really function as a proper one. The show will span many seasons, with the hope that one day Hinkie actually helps rebuild and replace all the homes he tears down. — R.N. 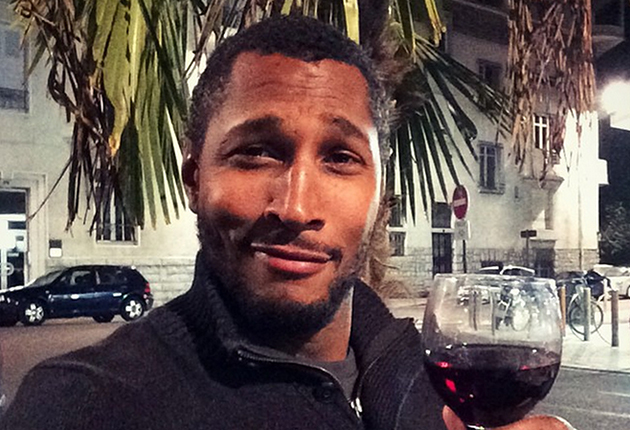 The NBA’s resident wine-tasting savant Boris Diaw serves as judge while contestants bring out specially crafted pairings of wine, cheese, and assorted delicacies. Think Ratatouille combined with American Idol. Tony Parker, Gregg Popovich and other assorted Spurs rotate every episode to complete Boris’s panel. They work exclusively on ball movement during commercial breaks and Kawhi Leonard says nothing. Bon appetit, mon frere. — J.W. The show serves to introduce Charlotte’s newest, unheard-of star player who loves wearing custom sneakers, has a subconscious tic of hanging his tongue out, and sports a hoop earring beneath his shock of a blonde wig. He’s not bad, maybe a little slow. But five minutes into the first episode, when rookie Frank Kaminsky cracks a Kwame Brown joke, the mysterious teammate can’t help but reveal himself as, to literally nobody’s surprise, Hornets owner Michael Jordan. He proceeds to challenge every single person in the room to a game of one-on one. Just think of it as a spiritual homage to Juwanna Mann, a film shot in North Carolina. — J.W.